Officers identified Turkish-born Gokman Tanis, 37, in connection with the incident. The public have been urged not to approach him. 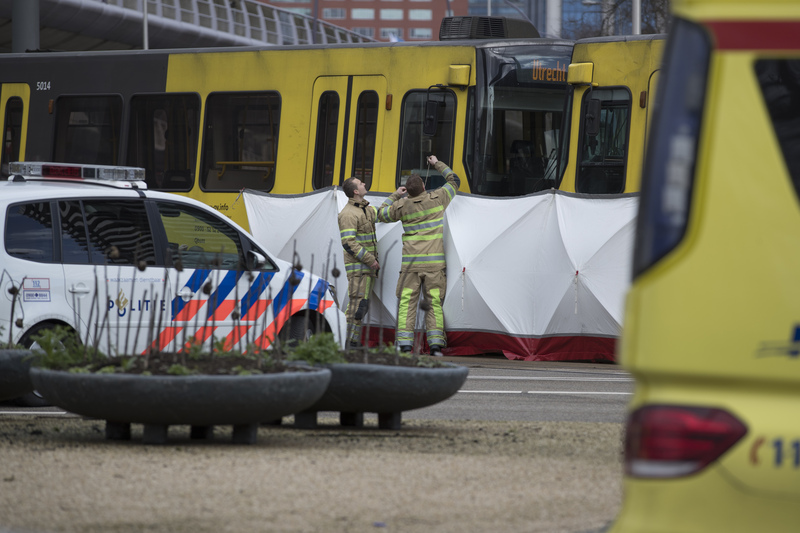 Authorities immediately raised the terror alert for the area to the maximum level while Dutch military police went on extra alert at airports and at key buildings in the country as the Utrecht manhunt took place. Officers said a Red Renault Clio had been hijacked shortly before the shooting, and was later found further south in the city. They asked for anyone with information about the car to get in touch. Police in Germany say they have upped surveillance on the country’s border and are on the lookout for the gunman.